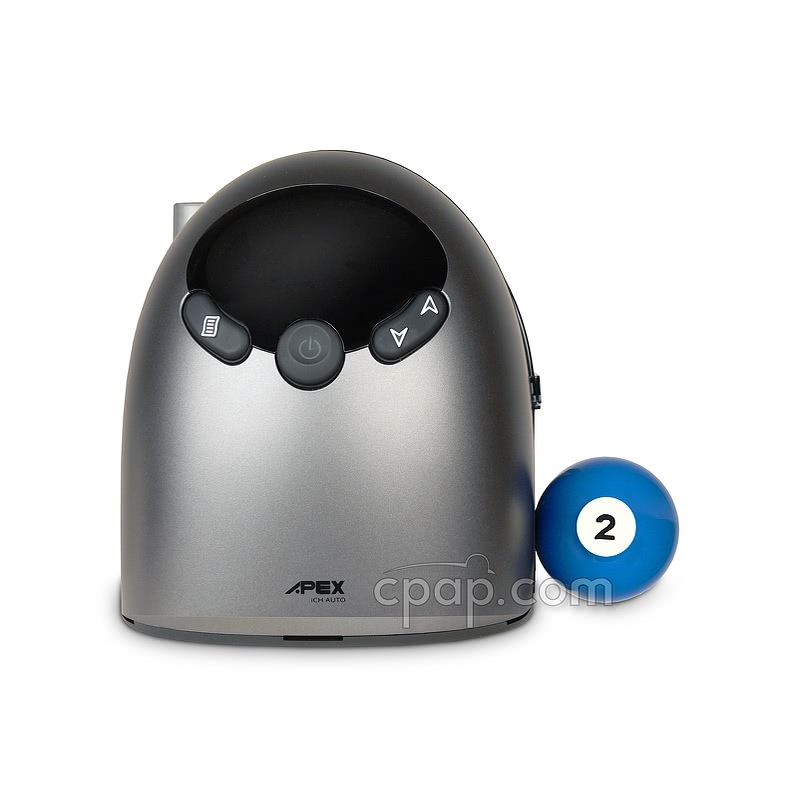 Apex Medical's iCH II Auto CPAP Machine with Built-In Heated Humidifier has a small footprint, weighing in at just 2.94 lbs. This device provides moisture to combat dry nose or sore throat whether at home or while traveling. When in standby, the unit will display a clock which can be used as an alarm clock. 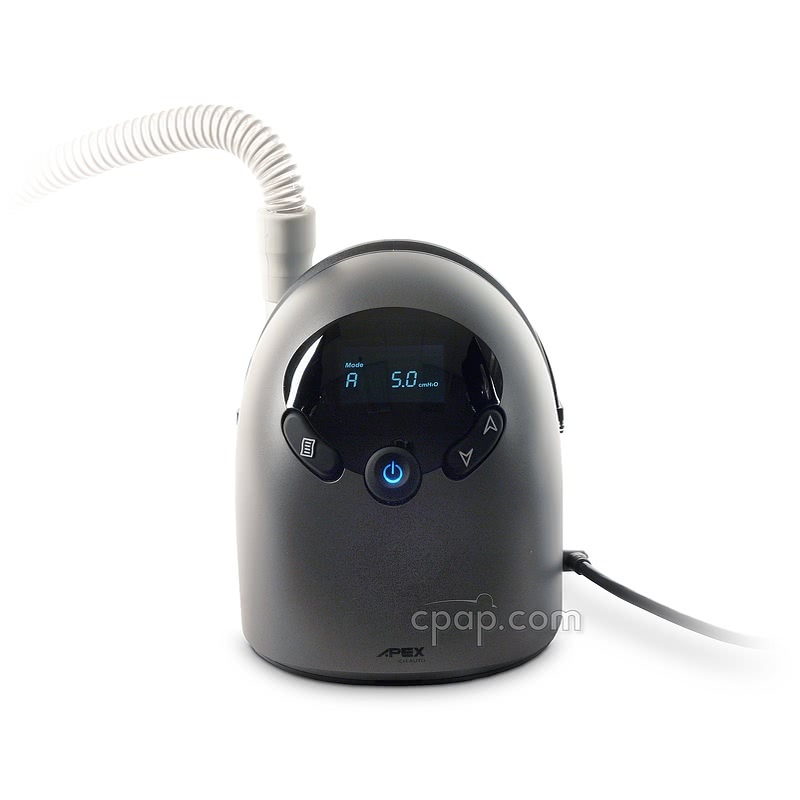 The iCH II Auto CPAP Machine with Built-In Heated Humidifier operates between a range of pressures to address varying levels of apnea events during the night, in order to promote a more peaceful sleep. 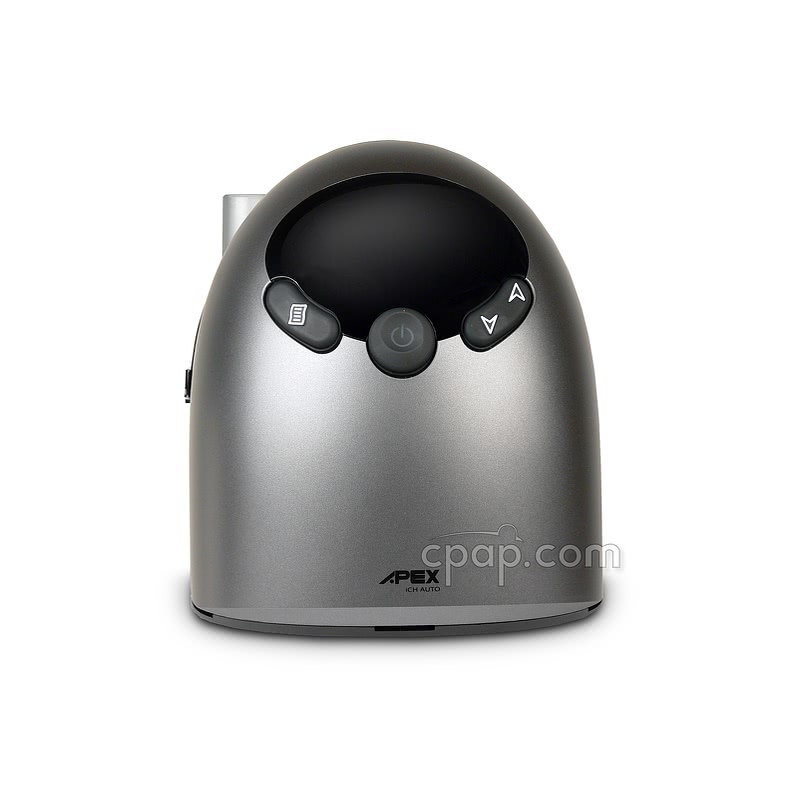 This sleek APAP and humidifier combination easily fits on a nightstand. Though the machine is small, the display screen is easy to read. When in standby mode, refer to the display for compliance data. 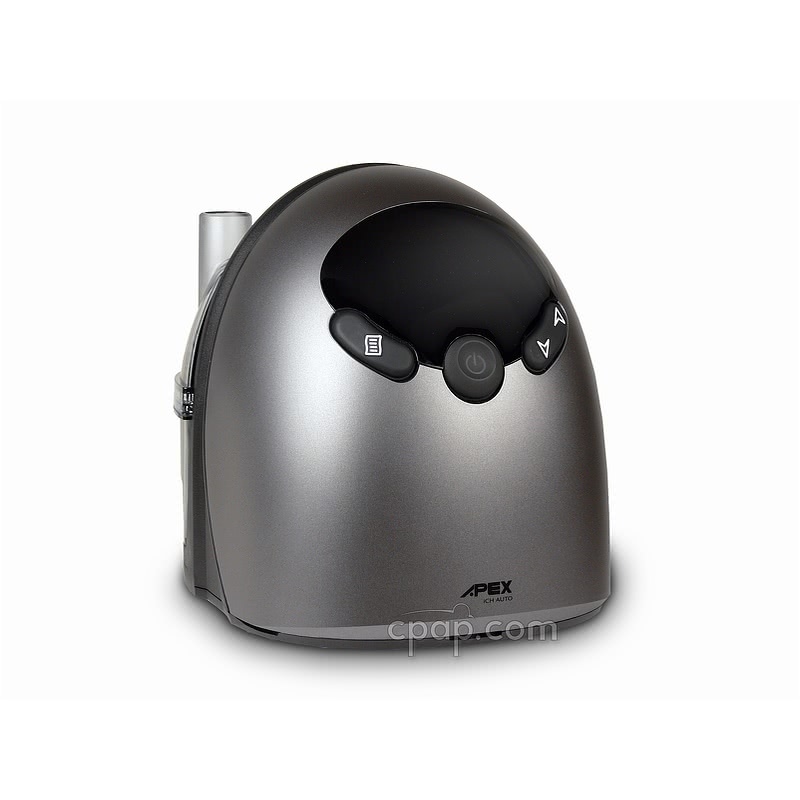 Auto-Adjusting technology is currently a consumer preference in CPAP equipment. The machine can be set to operate between a range of two pressures, with the machine adjusting on a breath by breath basis to provide the user with the optimal pressure needed. The pressure range on the iCH II is 4 to 20 cm H20, with increments of 0.5 cm H2O available within that range. 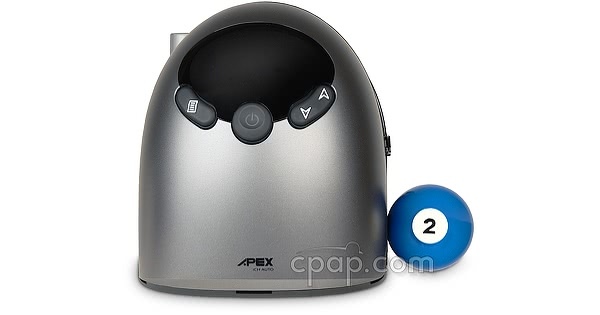 The machine can also be set in CPAP mode to provide a single pressure throughout the night if auto-adjusting pressure is not desired. 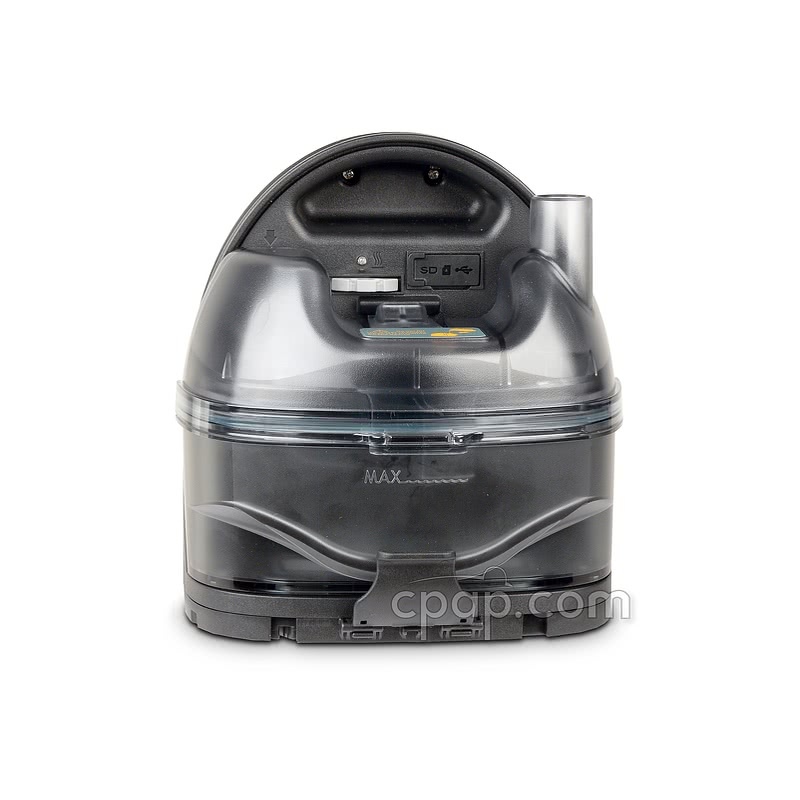 The machine and humidifier are a combined purchase within this singular unit. Humidification paired with sleep therapy is shown to help prevent headaches, nose bleeds, and other side effects caused by dryness of therapy air. Choose between one of six levels to find the amount of moisture which creates the most comfortable experience. Level 1 is the lowest level of humidification while Level 6 is the highest. If humidification is not desired, turn the setting to 0 to begin using the humidifier as a cool passover humidifier. The iCH II humidifier is designed to eliminate the back flow of water in order to protect the machine. Please Note: As a precaution, never fill the chamber past the fill line. The water chamber is designed to hold 300 mL of water (10 ounces of water), which should provide 8 hours of moisturized therapy. Pressure Variation Algorithm or PVA is a feature designed to decrease pressure at the start of exhalation. There are three levels of PVA which will drop the pressure by 1, 2, or 3 cm H2O. The algorithm can be set to maintain the low pressure throughout the exhaled breath before returning to the full therapy pressure for inhalation. Please note: If an event is detected when in auto-adjusting mode, the pressure will increase to the pressure needed to address the event, and will decrease down to the lower range once complete. In addition to PVA, the iCH II has a Ramp feature, which allows the user to acclimate to CPAP pressure when falling asleep. Choose a time up to 45 minutes, by which the machine continuously raises the pressure before reaching the prescribed pressure. The starting pressure for Ramp is 3cm H2O, making it applicable even for users with a prescribed pressure of 4cm H2O. 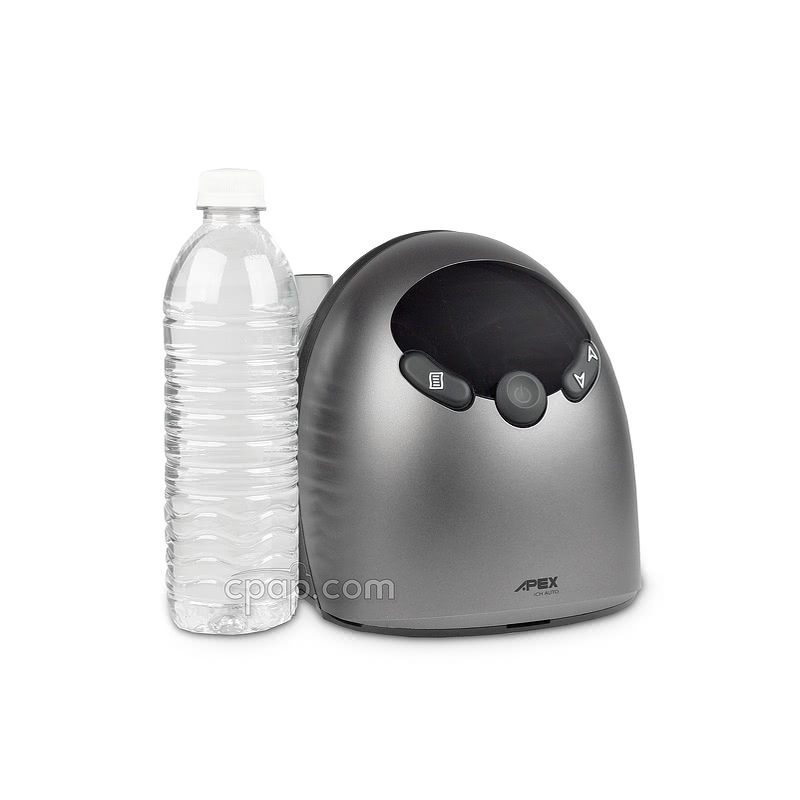 At 2.94 lbs, this machine and humidifier combination is ideal for those who travel often. Additional humidification units are not required to provide comfort while traveling. The base of the machine covers 7.8 in x 6.5 in and the sides of the machine rise less than 7 inches from the base. Pack this small, compact unit in a bag designed specifically for travel, and don't forget the included 60 watt power supply when packing the bag. The iCH II has a unique handle designed into the modern, charcoal exterior, which allows the user to easily lift and carry the machine from one location to another. The sleek shape and the Alarm clock display are aesthetic touches which helps the machine feel less like equipment. When the iCH II APAP machine is not in use, the large LCD screen displays a clock. This clock is designed to operate as an alarm clock if so desired. Choose to turn on the audible alert, or mute the alarm with the power button. Please Note: This alarm clock feature is not designed to play tunes. Apnea Index (AHI): measures the number of large changes in airflow by which air is reduced for at least 10 seconds within the hour. Hypopnea Index (AHI): measures the number of small events by which air is reduced for 10 to 60 seconds within the hour. Snore Index: measures the number of vibratory fluctuations upon inhalation each hour. Flow Limitation Index: measures the number of times per hour the upper airway becomes partially closed. Low Pressure Alert (Leak Alert): a large leak will result in the words "Low P" on the screen. If selected, an alarm will sound in order to alert the user. Leak Compensation: helps to maintain an even pressure output even when small amounts of air seep out from the mask. Auto Altitude Adjustment automatically adjusts for the appropriate therapy level if altitude changes. On-Board Data Storage: Compliance = 730 sessions; Advanced Data = 18 sessions; 72 hours. Saved data is first in, first out. The user manual included with this machine can be viewed and downloaded here: iCH II Auto. Where is the iCH II Machine Filter Located? To locate the filter, remove the humidifier chamber from the back of the machine. The spongy, reusable filter is found in the small, rectangle on the back of the machine. Apex Medical contributes a portion of the machine's quiet operation to the location of the filter. Please Note: The machine uses a washable foam filter only. How to Care for the Filter? Keep the reusable, foam filter clean by washing it once every two weeks. Hold the filter under clear water. Do not use soap or any other cleaning solution. Then, gently squeeze the filter to remove excess water. Position the filter out of direct sunlight and allow to air dry completely before placing the filter back into the machine. Care Instructions: Clean the humidifier chamber by hand with warm, soap water. Do not place the chamber in the dishwasher. Light: The blue light found under the water chamber can be turned off by pressing the DOWN arrow button. Alternatively, press the UP arrow to turn on the light. 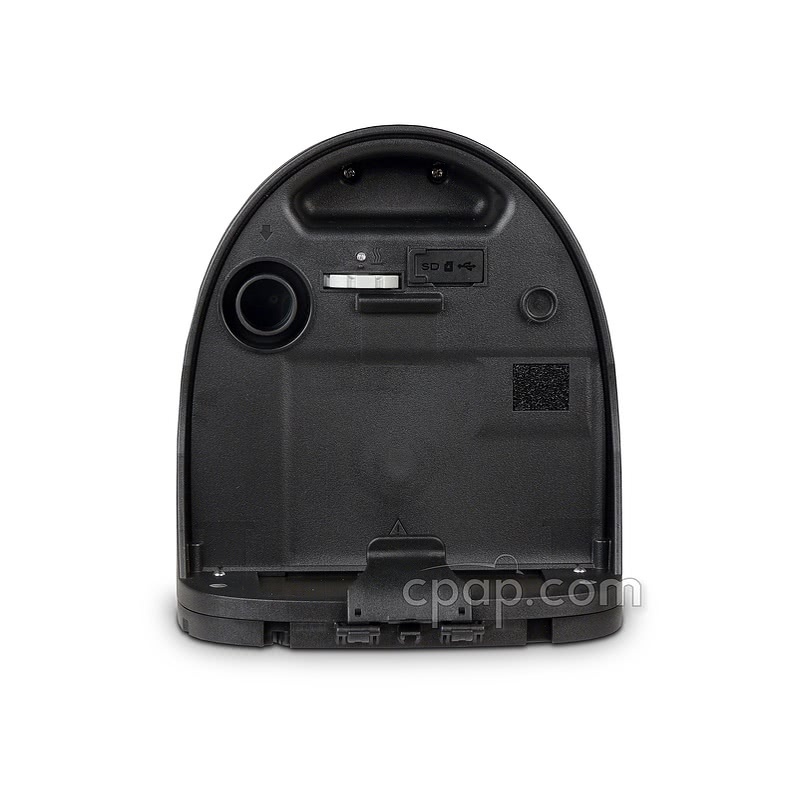 Protect from Water Damage: To protect the iCH II Auto machine from water spilling from the chamber to the machine, always remove the humidifier chamber from the machine when preparing to move or lift the machine. The Anti Back Flow Humidifier Design is intended to guard against water entering the machine; however, it is best to remain cautious. The iCH II Auto CPAP holds data in an on-board memory that can only be read using the machine software. The software is sold to clinicians and physicians only. CPAP.com does not sell the software. The alarm has one tone setting and is not designed to play music. An inverter such as 400 Watt DC to AC Power Inverter is required to use the iCH II with a battery. The inverter itself will draw approximately half of the battery run time. 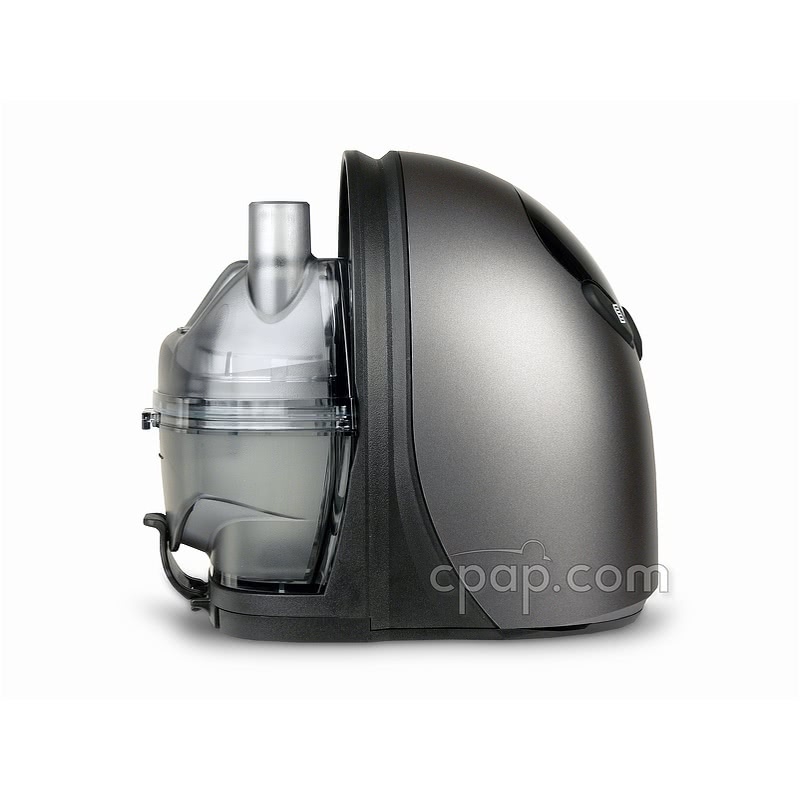 The iCH II Auto CPAP Machine with Built-In Heated Humidifier and PVA Pressure Relief has a 2 Year Manufacturer Warranty. Weighing in at only 1.7 pounds, the Freedom Travel Battery is light enough and portable enough to go almost anywhere! The Freedom Battery is ideal for camping trips or any use off-the-grid. It's also FAA compliant, meaning it's cleared for air travel. PLEASE NOTE: The Freedom Battery can only be used with this machine with a 150 Watt DC to AC Sine Wave Power Inverter (sold separately). While CPAP.com does not sell Deep Cycle (car and marine) Batteries, it would be possible to connect your machine to a Deep Cycle Battery by using the 150 Watt Power Inverter mentioned above. Deep Cycle Batteries are available locally at auto parts stores.